It was literally just a little piece of wire, a bit of swarf, a metal splinter. But it worked its way into the centre of my index finger, and once there, it proceeded to make itself known every time I had to open a bottle, unscrew a jar or use any kind of force. It really hurt! Eventually I had it removed by a surgeon, but I can say it caused a lot of hassle. Wire has been a part of my life since I was eighteen. I was running D10 field telephone cable along hedgerows and culverts. D10 is easy on a drum, but when it goes into the canvas bag and feeds out from the middle, there is the inevitable bird’s nest. The problem with D10 (twin twisted and black) is that it is re-used, and so becomes kinked, jointed and bent out of shape. This is not conducive to being run a second time, let alone a third time or more. (Left) D10 cable on a drum, and (right) D10 cable in a canvas bag). 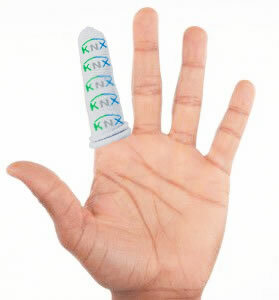 It is often said that, from a cabling perspective, KNX can pretty much run on anything. Some even say it can run on a bit of wet string. People also flippantly say, ‘Just run a four-core’, but I can hear an alarm bell ringing somewhere. So, I thought we’d have a look at the physics; voltage drop of distance being the most obvious, and Ohm’s law. 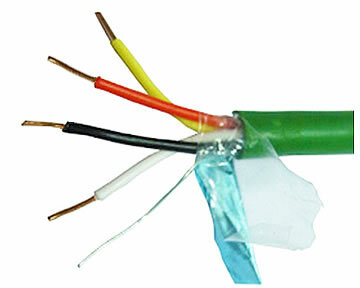 KNX cable comprises solid-core wires, and can come in single-pair or two-pair versions. The black and red wires are for 29V DC power and data signals. The yellow and white wires provide an extra connection if required, but are generally not used. 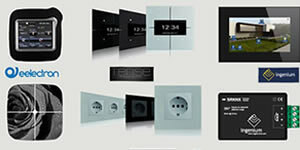 The KNX specification says that we should have a maximum of 350m between power supply and device. It also specifies that any one system segment of cabled devices must be no more than 1000m of total cabling. Both are healthy lengths, at least in the residential market. For the purposes of this example, I’m going to use a keypad that has a small LCD display and a maximum bus current consumption of 14mA. If I have one of them 350m from the PSU, I get a voltage drop of 0.335V. However, if I put 64 keypads onto the segment (64 x 14mA = 896mA), I get a voltage drop of 21.5V, and that is an issue, so I’d need to add in quite a bit more power. (Note: whilst the maximum current draw exceeds the standard power supply capacity, the keypads only draw 14mA when they are in use, and clearly, 64 would not be in simultaneous use. An exception however, might be after a bus voltage failure, where the keypad displays will all light up during start up). 64 keypads on the bus could potentially exceed the current draw allowed by the power supply unit. 30 keypads @ 14mA per keypad on a KNX cable 100m in length. This will give us a voltage drop of 2.9V – almost a 10% drop. Lutron or Crestron cables (using the power pair 12AWG) come out well in the calculation with a voltage drop of 0.43V. More copper, less resistance. But as soon as we start to get to cables smaller than 20AWG (the bigger the AWG number, the smaller the cable) we start to get into trouble. 22AWG = 4.43V = 15% drop. 24AWG = 7V = 24% drop. 26AWG = 11V = 38% drop. CAT5 is nominally 24AWG, but I have, on occasion, seen it as small as 26AWG. 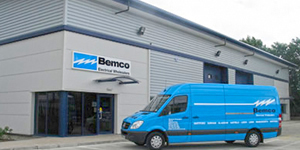 The bus device operating voltage specification requires them to operate between 21V and 30V DC. The 24AWG with a drop of 7V (from 29V) leaves us with only 22V; right on the edge of the minimum requirement. So, if the cable is 26AWG, it’s going to fall well below the minimum. Any connections made will also have a detrimental effect on the cable resistance and therefore increase the voltage drop. The last point that is worth making is that KNX cable is a twisted pair and the protocol uses differential or balanced signalling. This helps with noise rejection as the interference signals on both cores counterbalance each other. 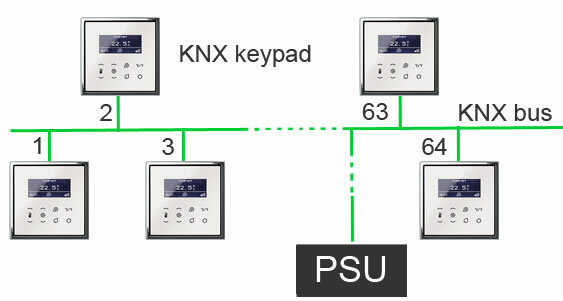 A fuller explanation can be found in KNX Association’s KNX Basics. Using KNX TP cable, signals are coupled symmetrically onto the bus, for symmetrical transmission, whereby the receiver evaluates changes in the voltage difference between the two data cables. 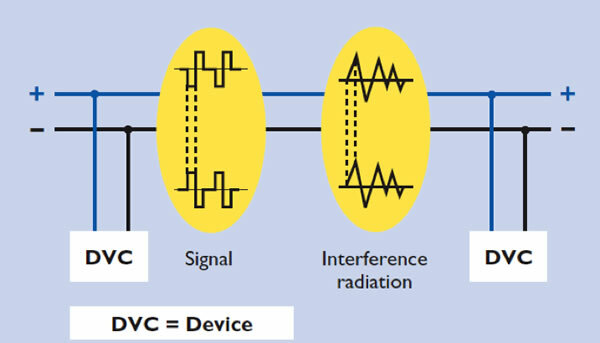 This means that, without any significant additional hardware, stability against coupled interference signals increases significantly, because e.g. 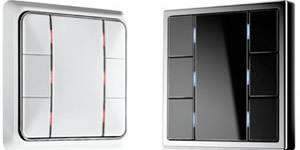 the interference signals on both cores counterbalance each other (differential). 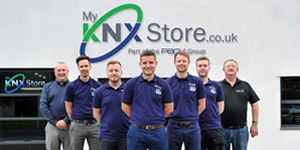 Whilst it is true that you could run a KNX system on pretty much any cable, at the extremes of distance and quantities of devices, you could run in to problems. As they say, ‘Just because you can doesn’t mean you should.’ You could use other cable as a ‘Get out of jail’ option if needs be, but everyone, everywhere, be advised: the right cable to use is always a KNX-certified cable. And personally, I always go with the two-pair version. Happy installing! 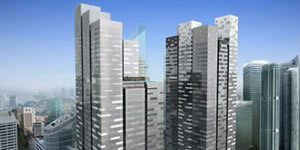 Simon Buddle CEng MIET, is a consultant for Future Ready Homes, a specialist in BMS and ELV services system design.